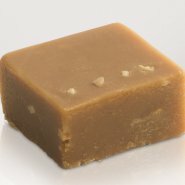 Firm and velvety, smooth butter fudge. No preservatives, gluten free. 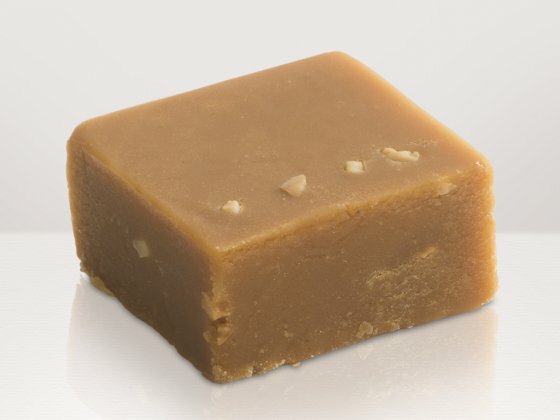 Sugar, Golden Syrup, PEANUT Crunchy Paste (15%), Water, CREAM, BUTTER (7%), Emulsifier: SOYA Lecithin; Salt. Topped with Nibbed PEANUTS. For Allergens, see in BOLD. Not suitable for Nut and Peanut allergy sufferers as this products contains peanuts. Free From artificial flavouring and colouring. Gluten free. Vegetarian friendly. This was like eating a jar of peanut butter, yummy!